Success with AI is not so much about the technology. The technology is solving itself. With AI today, we are on the precipice of something big. 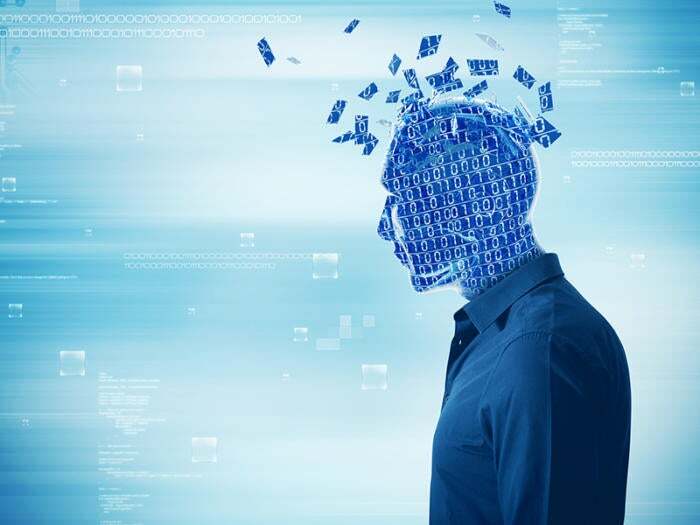 Salesforce announced its Einstein AI, IBM and Salesforce announced a landmark AI partnership for business and Forrester predicts that businesses using AI will steal $1.2 trillion per annum from their less informed peers by 2020. These are signals of what’s to come in the near future. But the starting point of the AI journeys that we see with most customers, I’d characterize as a crash collision between data and end user experience. And this is where I think a lot of companies get stuck. Thinking about AI in this scenario—the velocity and volume of data—is overwhelming. And it’s because of two common concerns. The first reaction is “how”—how do I get started, how do we define success, how do we bring AI to life, given the constraints in our business? And the second is “what”—what happens to our people, to our organization, in a world where AI takes over more and more tasks? The how is already being answered with proven use cases across sales, service, and marketing, and by early adopters, such as Autodesk. It’s the what that is keeping people up at night and fearful of the changes to come, because this is going to be a massive shift in the way we work. When I look around the corporate world, I am convinced that we are just scratching the surface in our abilities, as humans, to effectively collaborate, communicate, and lead. In the next decade, 47% of our jobs will need to be re-invented. Think about it—chatbots responding to millions of requests at once, decreasing prospecting time by 90%, and recommending products to thousands of customers. This is the new speed of business. But we don’t need humans to go faster. Augments human expertise and capabilities–reinforces, not replaces it. Automates routine activities so employees can focus on high value pursuits. Creates a more thoughtful, human approach to problem-solving. Is your partner in the creative process to support smarter, faster decision-making. I believe the companies that adopt the AI mindset, and build their organizations and communities around it, will capture the early lead and set the standards for customer and employee experience that everyone else races to keep pace with. In practice, the AI mindset does three things: fosters a culture that embraces its own disruption, brings out the creativity in your organization and eliminates barriers to innovation. Of course, technology is still a part of the equation, but among the customers succeeding with AI, I see them effectively doing these things, with the understanding that success with AI is not so much about the technology. The technology is solving itself. The AI mindset prioritizes imagination and creativity over tasks and execution. If we are going to reinvent half of the jobs that are out there, what we are looking at in the next decade is a talent revolution. Because AI for business is all about reinforcing decision-making and capabilities, supported by data and models, it is still ultimately about humans at the end of the day– human innovation. Organizing teams around a goal begins by looking at how you hire your individual players. It is much easier to teach skills than to teach a mindset. Nurturing talent to dig deep into our human capabilities to become better facilitators, collaborators, presenters, and persuaders–this is where innovation happens. Those who embody the AI mindset will help accelerate how AI serves businesses.